Love Your Brand: Why Should YOU Be a Part of Your Branding? The marketing world has caught on to the importance of branding. Branding has become such an integral part of a company’s marketing strategy. This method’s value has increased to the point that branding is no longer just a corporate policy. Small businesses, speakers, authors, job seekers and entrepreneurs are now encouraged to integrate branding into their marketing as well. However, this type of branding looks a bit different than the traditional style. Personal branding is the online persona or image that an individual projects. This includes all the digital touchpoints from the website to the blog to all the social media platforms. It includes online collaborations, live streaming, videos, or any other content created and distributed. A personal brand is a real thing and exists, regardless of the person’s acknowledgement or knowledge. Perhaps you already have a business entity and brand. Maybe you’ve even invested in a quality logo, brand colors and online touchpoints. However, as you interact with people online or network with people in person – it is YOUR face that people associate with what you do. It’s your voice and your mannerisms and the energy you bring to the conversation. As content gears more towards visual – including live streaming and videos – it will be you that the audience gets to know and trust. With so much noise competing for the same small places, a genuine, authentic connection with your audience is essential. Some of the top personal brands online naturally evolve into influencers and generate the type of viral attention that most companies strive for. As you transition to a more personal brand, it will be time to take an audit of all your online assets and tune them into the image you want to portray. This means spending some time with your good friend, Google, to make sure that your name online is directly associated and connected to your personal branding. It will also mean investing in some decent professional headshots. Team up with an experienced photographer so that they understand your brand image when taking photographs. These brand photos are an integral part of all your online touchpoints and should weave together in a method that is consistent and on brand. Once you have the foundation for your personal brand, look into ways to enhance what you have already created. This could be association or collaborations with other strong personal brands that make sense for your work. It could also mean developing a strong backstory or narrative and weaving it into the touchpoints. When producing any type of content, be certain to have the branding in mind during development so that whatever is created remains true to what you have built. Developing a personal brand is also a great opportunity to reinvent you, your company or your branding strategy. Be cautious. A personal brand is not a mask or a fake persona. Your target audience will see right thought anything insincere. Be your authentic self and the right followers will automatically be drawn to you. 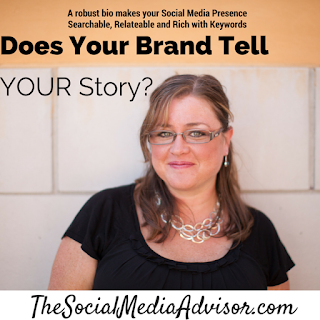 Understand the value of personal branding but not sure how to begin? Give us a call and we can help you brainstorm and build those touchpoints. 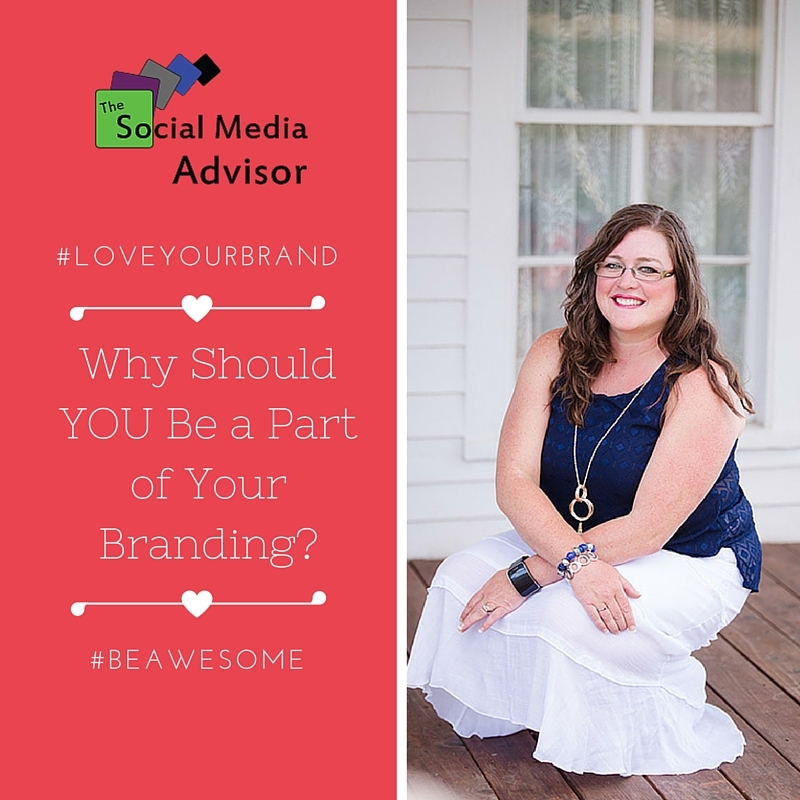 The more you #LoveYourBrand, the more you can #BeAwesome while pursuing your purpose. 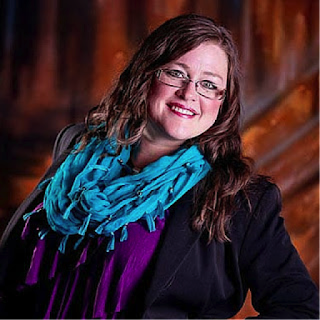 Hollie Clere, of The Social Media Advisor is a “#BeAwesome” Developer, Social Media Brand Builder, Content Manager, Trainer and Author in LinkedIn,Facebook, Twitter, Blog, Google+ , YouTube,Pinterest, Instagram and the tools to manage them. 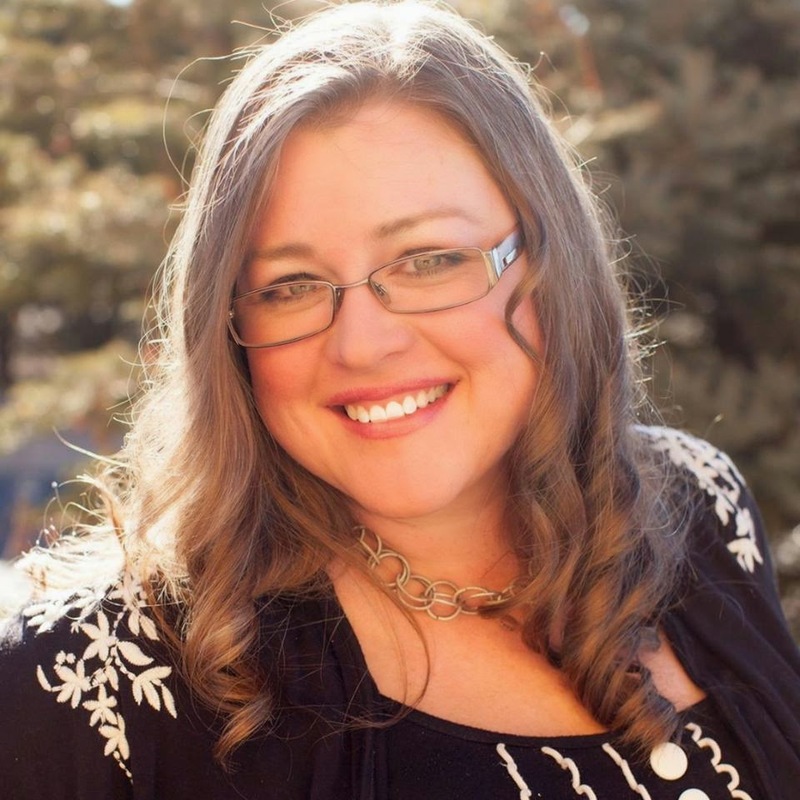 Click here for her Social Media Workshops, Classes and Seminars. “Walking the Talk” means we play in the social spaces we have developed and engage every opportunity possible. In connecting with clients, partners, vendors and prospective clients, we have found many inconsistencies in brands from cover images, to profile images to a branded message that tells a story. Storytelling in social media is the art of sharing your brand message along with rich keywords, focused demographics, product/services detail and solving pains … without being overly bland. Most organizations who create a profile in a social platform haven’t mastered this technique as the platforms don’t really talk about their search functions in that way. Did you know that EVERY single social media platform is essentially its own search engine? By developing the right type of bio fit for the platform, you are optimizing the space it provides with searchable content that is beneficial to your brand. It is nearly impossible to copy an About section of your website into your social brand and make it search worthy in a platform without knowing what words you can share to make your profile searchable to your ideal target market, but also stand out with clear call to action; unless you have been properly trained on the art of Bio writing in social media. Consider LinkedIn for example … the platform doesn’t provide the space that they do in each section without wanting each word getting utilized to its optimal performance … ie, a resume written bio won’t show case the same options as a richly worded strategic bio that tells a story. Whether an individual or business, every section has a purpose, is designed to serve you and speak a message that isn’t tailored to your ordinary resume. To relate, I tell a story often about an outreach project, where I was looking for Face Painters in a specific area of town. I searched Google and found limited results, but when I searched LinkedIn, I found more … because the right words were in their profile. I was able to reach out to and select from a small group of Face Painters for my project through this tool. The results were higher because of what they shared and the outcome resulted in 3 local service providers who wanted to participate in our event. Yes, three – high grade professional in their craft who were bidding for our project in LinkedIn. 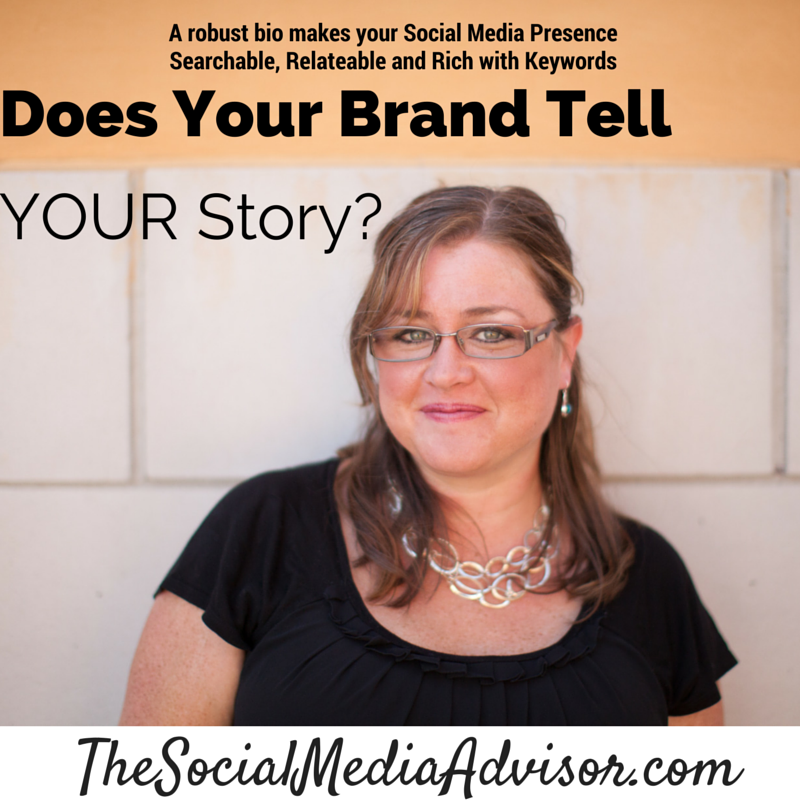 You CAN have a robust following and message with the right Social Media Bio developed for you and your brand. Let us know if your business could use a little more inbound marketing with less cost of Google Ads and less LinkedIn “resume-like” appearances. Many of us remember the days of passing notes in the classroom, to getting letters in the mail. The first introductions to phone calls transformed into hoarding the phone from our parents because there was only 1 line with no call waiting. Communication with people has transformed drastically in the last 20 years. Let’s take a walk down that journey so we can better understand how to communicate with people today due to the technology changes. Before telephones, people communicated in person, through mailed letters and although it seems like times were simpler, communicationtook much longer to make. You could invite people into your home for visits, but anyone not living within your community would get what we call today “snail mail” and respond in return. It was a superb technology at the time that served well for many, many years. Over time, the telephone was developed in many variations. From operator calls to family lines to later phones in most homes for people to call and visit on a more real time basis. From this technology came the need for further access, introducing car phones and pagers. Not necessarily the most “real time” solutions as in most cases you were required to either pay at a phone booth for your call or access a friend who had a nifty brick phone in their automobiles. Children still played in the streets until dark, letters were still being mailed, notes passed around classrooms, but communication was an optional, as these were less required things that not everyone felt the need to have. Eventually the evolution of the car phone became the introduction of the personal handheld devices. People began to migrate more away from pagers and leaned more toward systems with voice mail and other features making communications a bit more accessible. Then came the Internet and shortly after, email communication. Businesses flocked to the new technology which became a spring board for businesses to have online presence, easily accessible website and people began to communicate more over email than letters. Texting erupted quickly which migrated communications a little less from email (for personal users), eliminating a lot of need for personal, handwritten letters between people and a lot more real time – “where you are” – communication started happening. Shortly after, texting on mobile devices became Email and Internet compatible devices which allowed people to spend more time out of the office (if your job allowed for it) and more dedication to notifications on your phone. The phone quickly evolved from a “dumb phone’ system with texting capabilities to a “smart phone” system with quick access to email, quick access to internet and quick access to basically any type of application that could either make your life more intertwining or more enjoyable in the process. During this time frame … specifically, the last 10 years, while the Internet was developing, email was thriving and communicationwas changing before our eyes, people discovered platforms and websites where they could communicate with friends and business people without having to pick up that phone or write a personal letter. They could now communicate in social media. Take a second … 10 years, people have been using social media. Cloud computing which has been used in social media, has been around for YEARS! Look at Amazon, Facebook, Google and any other website you go to, to make purchases. The internet has transformed our shopping, our games, our communication. It is no wonder that in this world now, with access to communicate, real time, at your finger tips, social media is so prominent. Take a look at this evolution over time. Your clients, have before them, the World Wide Web at their finger tips. 24 hours a day, 7 days a week, 365/366 days out of the year. With this much activity online, you are truly missing the boat with visibility if you don’t have a website, if you don’t have an online presence and you aren’t communicatingactively. Your clients are online at any time, any day, searching for information in many, many platforms. It is your choice on whether you will engage with them in this new age of activity in social media, or if you are choosing a presence where your clients aren’t active. We challenge you to take the step your clients already have. Get active, get social, remain in the front of your clients mind. If you aren’t, your competitors are.